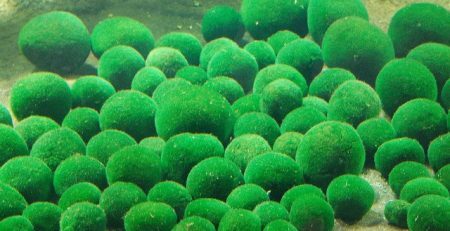 Marimo’s popularity stems not only from their unique round shape, but the fact that they are also incredibly simple to care for and can live for nearly a hundred years. 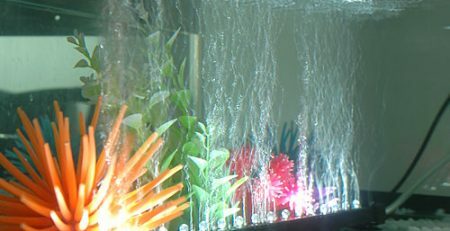 They have decorative value, both in aquariums or on their own in vases. Marimo will rise, sink, and roll around in the container it is placed in. 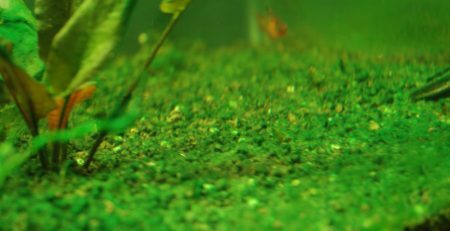 While these movements are only a response to the levels of light a Marimo is exposed to; many owners compare them to fish – only with less maintenance required! 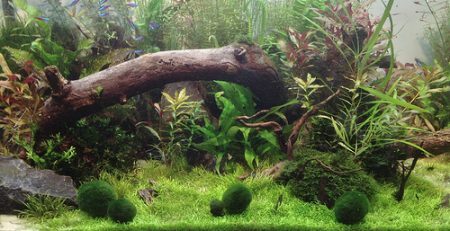 What Type Of Environment Do Marimo Require? A Container: The size of a Marimo’s tank depends on how big you want it to be and how many Marimo you are keeping. Since Marimo do not require filtered water, they can be kept in just about any type of container from small sealed bottles to traditional fish tanks. If you are caring for a larger colony of Marimo, you can keep them in tanks where they are close to or touching one another without any issues. Water: Marimo require water to survive, but do not require any specific water purification. This means that they can survive in most types of water from tap water to mildly salty water and anything in between. Marimo thrive best in cooler water, so ideally you should ensure that the water they are being kept in is between 54 and 68 degrees Fahrenheit (12 and 20 degrees Celsius). Indirect Sunlight Only: A Marimo’s tank should be kept away from direct sunlight; they come from a lake bottom environment where they are exposed only to what little sunlight filters through the lake’s waters. If your Marimo are exposed to direct sunlight for an extended period they will die. Weekly Water Changes: Your Marimo’s water should be changed an average of once per week. Some owners prefer to change only a quarter of the water in a tank at a time, while others opt to change the water entirely. Both of these options are acceptable and any water removed from your tank can be replaced with tap water. Weekly water changing doesn’t take much time and will allow your Marimo to stay clean and healthy. Weekly Cleaning: When you are cleaning Marimo’s water, you should also take the time to individually clean each Marimo as well. In order to clean a Marimo, you should put it in a container with clean water and gently squish it, while also rolling it in your hands. 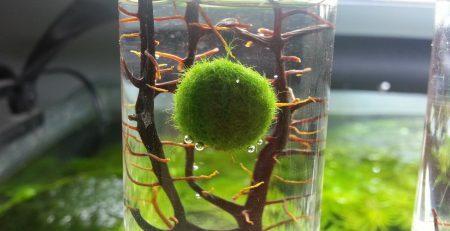 Regular cleaning will get rid of any dirt clinging to the Marimo while also keeping it healthy and helping it to maintain its round shape. 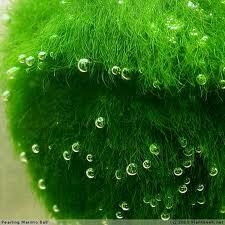 Like any other plant or animal, Marimo do suffer from health problems and will occasionally require treatment. Thankfully, Marimo health problems are usually simple and easy to treat. Healthy marimo balls will be bright green. Variations in color may indicate the water is too warm or not clean enough, or the light is not optimal. A lighter or white color could mean they are getting too much light. If the balls turn brown or grey, they likely need to be cleaned. 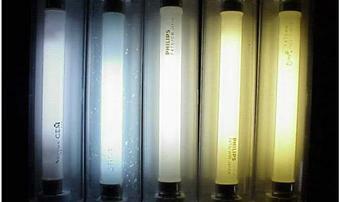 Do this and gently rotate them in the tank so any brown spots are facing the light source. A small amount of salt, up to 5 percent of total water volume, can be added to the tank to encourage growth, if it will not affect other plants and animals. 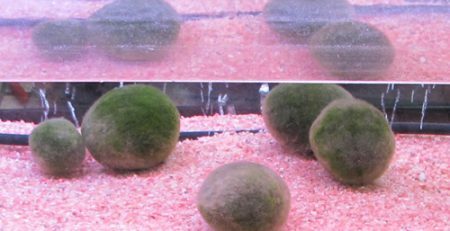 Alternatively, discolored Marimo balls can be placed in a bowl with a 5 percent salt water solution and ice cubes for two to three hours. Black spots are usually not a good sign. You can try cutting them out, then gently washing and re-shaping the ball. Brown spots should first be dealt with by gently cleaning the afflicted Marimo. If cleaning does not solve the problem, you should remove the spots by pulling them off and then putting some salt in the Marimo’s water to stimulate growth. If the brown spots are mostly on the bottom of your Marimo, it may be an indication that it isn’t getting enough light on its underside. You should take the time to change the Marimo’s position yourself every few days to ensure all sides are getting enough light. Turning white can indicate that a Marimo is being exposed to too much light and has begun to die. You can reverse this process by moving it to a location with less light and no direct sunlight. Turning black and beginning to fall apart are signs that a Marimo has begun to decay internally. 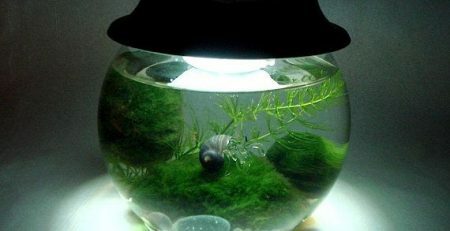 The best way to combat this problem is to remove all of the visibly black areas and then rolling the Marimo back into its original shape. 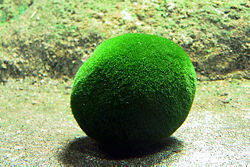 Though this will reduce the size of your Marimo, it will usually begin to grow again once the dead parts are removed. Slimy white spots are a harmful form of algae that can prey upon Marimo. If you notice this type of spots on your Marimo you should put it in a container with clean water and wash off the white spots, or alternately pull off the spots with tweezers.